Search Engine Marketing (SEM) involves a combination of free website submissions and paid search engine listings, to ensure your website reaches customers searching your products or services. Search Engine Optimisation (SEO) is the art and science of increasing your website’s visibility to search engines for those important keywords and phrases that are relevant to your business. Search Engine Optimisation typically includes keyword research and development, competitive analysis and industry benchmarking, backend coding optimisation, website submissions to search engines and reporting results. Compusoft Technologies offers quality SEO services that give you search engine ranking in Google, Yahoo etc. Nowadays SEO is very important in order to get proper competition for top placement in search engines. Keyword ranking and traffic makes full use of your sites or pages potential to grow your business. We carry out an on page and off page SEO for getting your site in wide range on the internet. We have a discussion with the company to understand the type of their business and its online processes. We then analyze their needs, identify the type of visitor to be targeted, identify the keywords, and finally include the keywords in such a way that you get results that you have expected. We analyze the website contents, titles, headings, subheadings and other tags. We will carry out a research for the related keywords and finalize some keywords for ranking. We carry out the analysis of your competitor’s website, so as to ensure that our SEO process gets the maximum success for your site. After analyzing your site, we optimize the site with the finalized keywords. In the process of optimization we add meta tags, alt tags, and title tags and we also optimize the content. We also create an xml sitemap of your website. 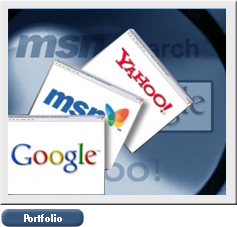 We manually submit your site to various search engines like Google, Yahoo, Ask, MSN and others. We submit your site in various tools like the Google webmaster tool. We work towards getting backlinks for your site by doing off page work like directory submission, link exchange and other SEO techniques. We give you a keyword ranking report when your website appears in the search engine for the selected keywords. Generally, results begin to appear in 60-180 days. Contact us or Email us for more details.